By September 1790 the Assembly made the assignat into a paper currency. Assignat, paper bill issued in France as currency from 1789 to 1796, during the French Revolution. In 1796 the assignats were replaced by themandats territoraux (land warrants) at the rate of one mandat for 30 assignats. – apple didn’t fall far from the tree! “STATE OF KENTUCKY TREASURER’S OFFICE”. State Treasurer Office Seal top right, on extra thin printer’s paper, punch canc., usual light aging, wear, folds, etc..
(Kreissparkassen Diekirch, Esch and Grevenmacher ). During WW2 (taken from a Google search) 1940 - German invasion. The new savings banks are under the direction of German officials. Peru Chile collection lot 12 comercial bills of exchange during Pacific War emitted 1881. Unusual lot of 12 comercial bills of exchange emitted during the period of Pacific War in occupied Peru; 1 in Tacna, 3 in Callao and 8 in Lima: - Deves Freres, Tacna 20th March 1881 - Barabino y Cia, Callao & Genova 6th May 1881 - A.Klein, Lima 6th September 1881 - Calderoni Schmolle y Cia, Lima 26th August 1879 - Gautreau & Cia, Lima Paris 19th June 1882 - E. Haines Co., Lima 28th September 1881 - José R. Espinosa, Lima 12th April 1881 - and others. 1850’s Patriotic Promissory Note by Trautman, Hayes, Philadelphia Beautiful! RARE – A.B.N.Co. Merchants Bank of Atlanta, GA Printers Proof! Beautiful! "Printer’s Proof". VERY GOOD/FINE - RARE! You will be closer to touching history. Mr. Powers hand signed many national bank notes and this interesting collection note to the cashier of the Kenton Savings Bank of September 28, 1885 will go nicely with your collection. 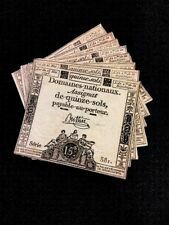 Includes history of these specialised forms of paper money. -Size A4, 150, soft-cover, weight 0,57 kg. Australia: 19 USD. Asia: 19 USD. Africa: 19 USD. A super excellent piece of Austin, Nevada history here ,check it out! 3 3/4" tall x 8 1/2" wideauthentic and original cashed check from the BANK of AUSTIN NEVADA. This is acheck that is dated February 18th 1908, though the check also says that the bank was ESTABLISHED 1863, while the Civil War was still raging, that's how long ago that is! SECOND NATIONAL BANK , Freeport, IL, on altered “FREEPORT SAVINGS BANK OF ALEX. H. STONE ” certificate. CERTIFICATE # 25149B. JAN. 26, 1972 MANILA BANKING CORP.
An early check dated 1878-81 on The Marblehead National Bank in Marblehead, Massachusets. A vignette of an Indian on the front. An adhesive revenue stamp attached. Endorsed on the back. long format. 1926 Canada Vinegars Ltd. Cheque "The Largest Vinegar Works in North America"
Santiago, Chile. Note: Item location. Towns represented include Cooperstown New York, Newton New Jersey, and Erie Pennsylvania. 1885 North Bloomfield CA. Sight Draft CHECK Pioneer Mill - Crandall & McKillican. CONDITION: Overall Very Good. From the account of "Central Eureka" sugar mill, dated September 1930. in good condition with a clipped corner. Line engraving of the bank’s symbol on front of check. Peru 2 private bearer script check farm Monte Rico Puente 1895 1904 100 1500 silver Soles.